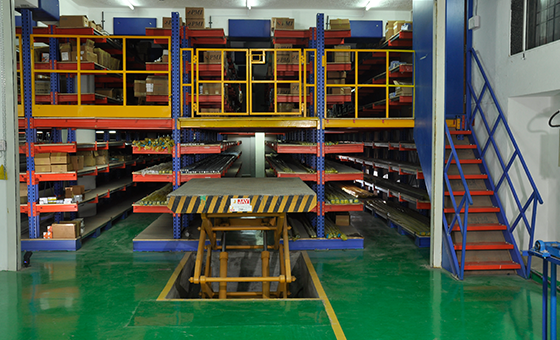 Platforms or mezzanines can be created above the Cantilever Racking, also multi-tier arrangements can be made similar to a Multi-tier shelving system. Platforms can be created at heights and provided with stairways for access. 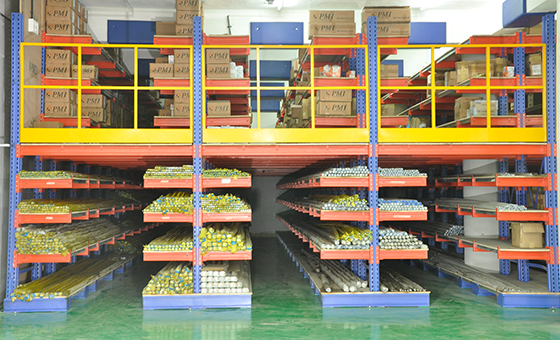 This type of system is particularly useful for storing a wide variety of goods with smaller SKU’s size. 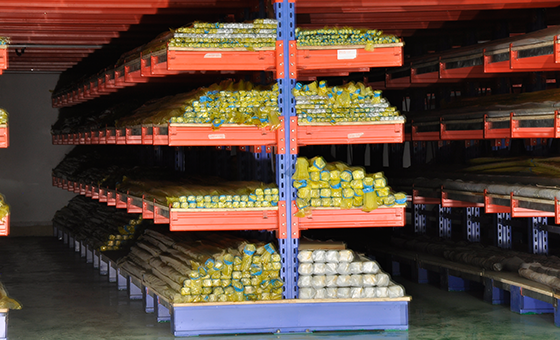 Applications involving wide & a varying variety of SKU’s mostly use the Multi-tier Cantilever Racking. It is the ideal solution for storage of oversized or bulky items. 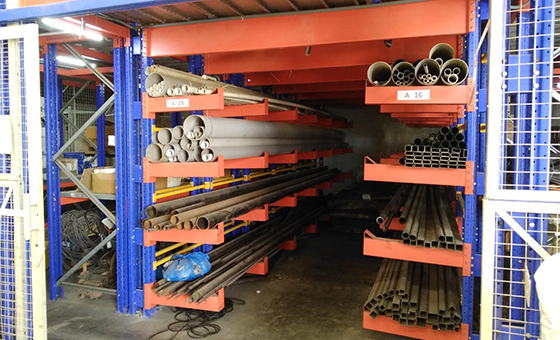 The list of items to be stored includes plastic tubing, steel pipes, profiles and wooden planks. Heavy & bulky items with higher picking rate can be stored at the bottom tier while light & non-bulky items can be stored on the top tiers. The system basically consists of columns with a vertical beam and one or two horizontal beams at the base to provide stability. The columns are tied from the top with a beam, which is used to create a mezzanine or a catwalk. A series of arms are attached to which the load is placed. Loads may be handled manually when they are lightweight, or by using lift trucks or other appropriate lifting systems when items are involved. 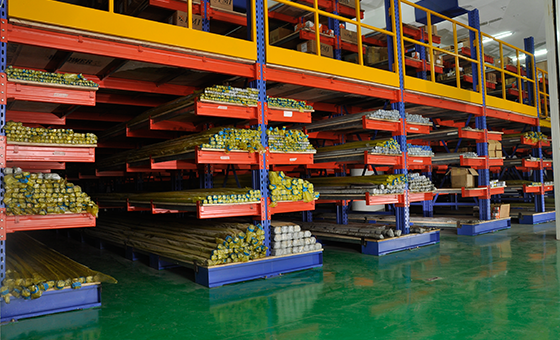 Cantilever Racking can be manufactured from single sided & double sided use. 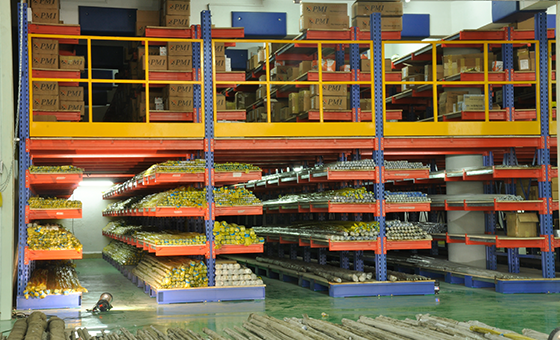 The warehouse is laid out with a combination of single sided cantilever, normally placed against the walls with access from one side only, and double sided cantilever which can be accessed from both sides. 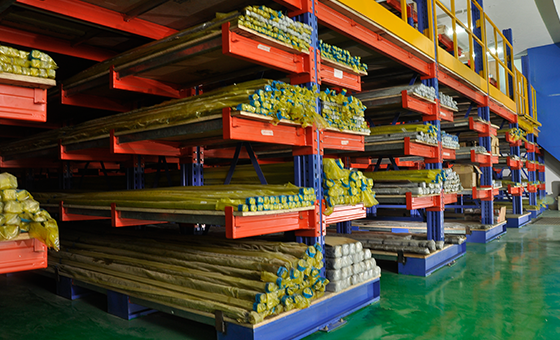 At Jay Storage Solutions, we make sure that we deliver high quality products to our customers. To know more, contact us. Storage of heavy, bulky materials and goods. Can be installed indoors and outdoors, manual & lift truck handling, fixed & mobile installation possible.